This exclusive self-driving tour takes in the most highly regarded Alpine roads that can be driven in a single tour across southern Europe. Take the keys to your European Alpine driving experience in the stylish city of Milan, Italy and hand them back when you reach Mozart’s home town of Salzburg, Austria. Take the road infrequently travelled and wheel your way around beautiful Lake Como. 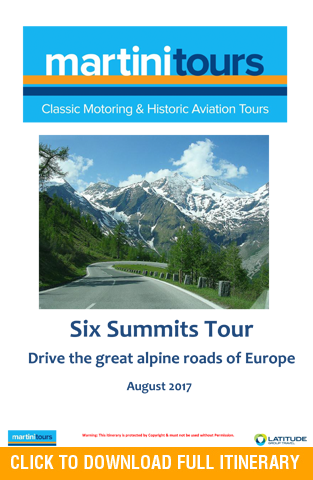 Drive some of the most highly rated driving roads across the great alpine passes of the Swiss and Italian Alps. Take in the majestic and awe inspiring alpine scenery, traversing six of Europe’s most amazing mountain passes, before reaching the rooftop of the world at Berchtesgaden in Austria. Round out this amazing journey with a surprising Salzburg experience. 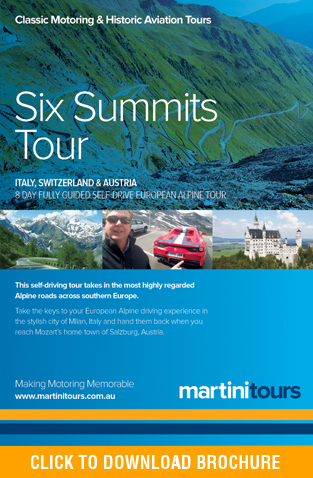 This sensational Six Summit alpine driving tour will leave you with memories that will last forever.